The resort also has a private beach and swimming area, along with 4 docks for our guests. 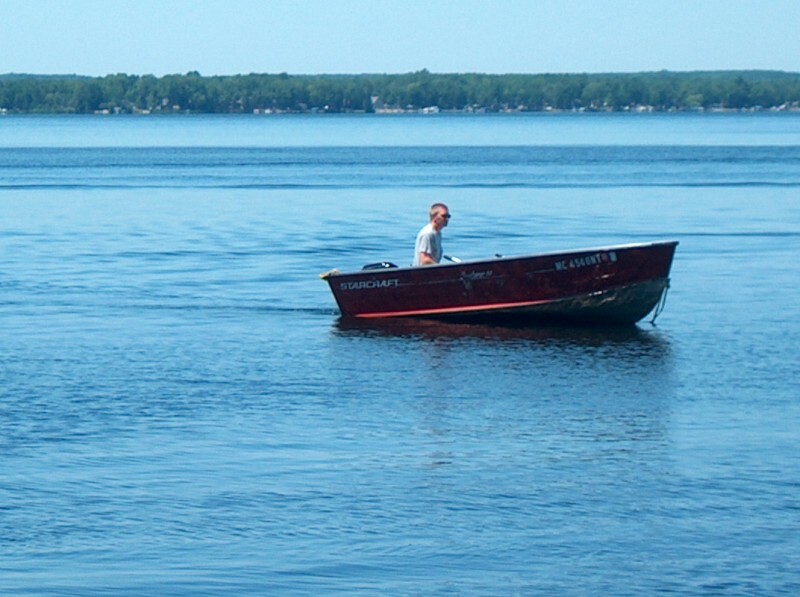 Located just North of our resort is the Mitchell State Park beach, playground and boat launch. Near by are golf courses, bowling alleys, bike path, miniature golf, go-carts, water slides, restaurants and shopping. The Manistee National Forest is just a short drive away for small game hunters, deer hunters and mushroom hunters. It also offers groomed trails for snowmobilers. For skiers, Caberfae and Crystal Mountain are an easy commute. 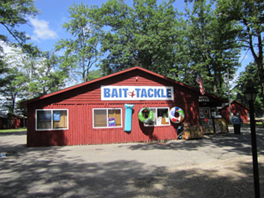 Pilgrim Village Fishing Shop offers from basic sinkers and hooks to tackle for the more advanced fishermen. In live bait we carry leaf worms, wax worms, crawlers, crickets, spawn, 3 sizes of minnows, along with wigglers and leeches when in season. Ice fishing is one of our specialties. Select from over 10,000 ice jigs, Jiffy ice augers and Shappell shanties, Vexilar flashers or Aqua-Vu cameras or hundreds of rods and reels. You can purchase hunting and fishing licenses or your snowmobile trail permits and maps, all at one location. The Fishing Shop is open daily from 7:00 A.M. to 11:00 P.M. Our knowledgeable staff can help you with information to catch more fish. At the Pilgrim Village we can supply everything but the fish. 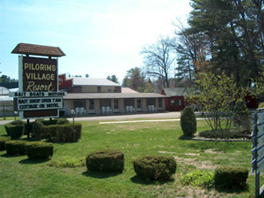 Whether you come to Cadillac to fish, boat, golf, mushroom hunt, snowmobile or just relax, it's all accessible from the Pilgrim Village.